Syniukha River [Синюха; Synjuxa]. (Map: Syniukha River.) 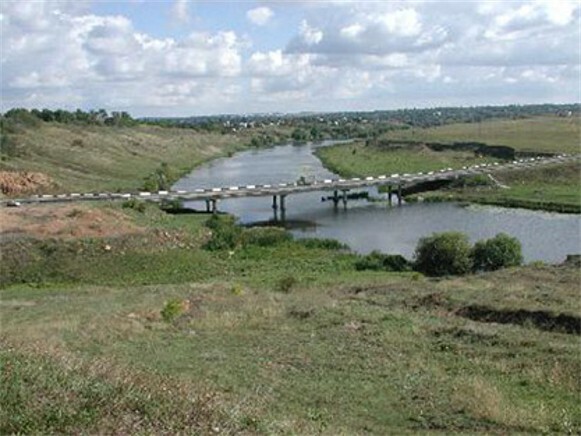 A left-bank tributary of the Boh River, which it joins at Pervomaisk (Mykolaiv oblast), that flows southward for 111 km through Kirovohrad oblast and Mykolaiv oblast and drains a basin area of 16,725 sq km. 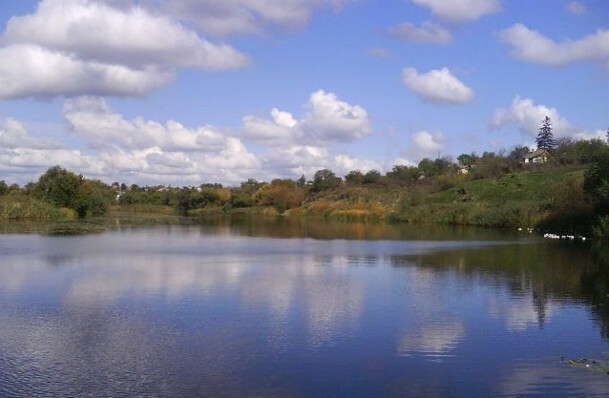 Formed by the confluence of the Hirskyi Tikych River and the Velykyi Vys River, the Syniukha is 40–50 m wide in its upper reaches and up to 90 m wide in its lower course. The Syniukha has several areas of rapids, and a number of small hydroelectric stations are located along it. The river is used for industry, water supply, and irrigation. Its main tributaries include the Yatran River, the Sukhyi Tashlyk River, and the Chornyi Tashlyk River.